There has always been a fascination with the outback, think Uluru, Ayres Rock etc. however with Australia being so large and most people are time poor, the thought of traveling thousands of miles by car to get to a destination just doesn’t make it attractive. That’s where local tour operator Sea Air Aviation on the Gold Coast are taking Outback Travel to the next level. 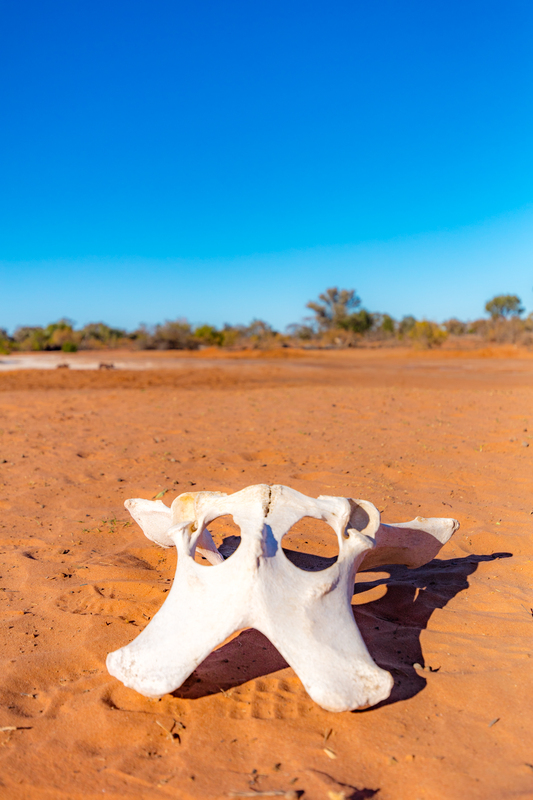 Offering outback tours in the comfort of a 14-seater Cessna Caravan airplane, over a period of 3 days, 2 nights, passengers cover over 3,800 km. 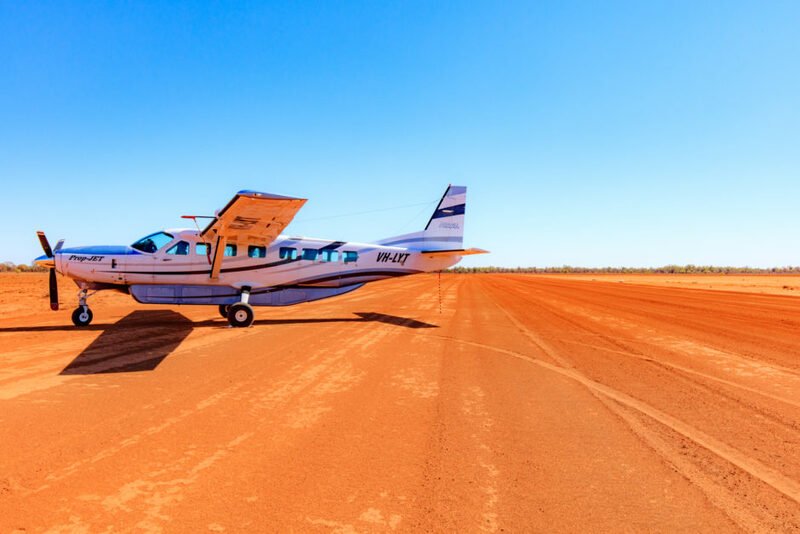 You get to experience some of the most remote parts of outback Australia with the advantage of travelling in speed as well as the comfort of a small plane. In a few days, see places in vast contrast to the beaches and city landscapes most of us are used to. Taking off from Gold Coast airport, the beauty of air travel is that you get incredible aerial perspectives of every location. The pilots have travelled these routes many times and are knowledgeable and entertaining. Rather than slipping on my headphones and getting lost in my music playlists, my journey is filled with snippets of stories and legends. First stop on the adventure is Charleville. A mere 840 km from the Gold Coast and home to one of the outback’s Royal Flying Doctor Service bases. We have the opportunity to meet staff who work for this amazing facility and explore the museum for more history and information. It’s well worth the fuel stop! After a short break, we return to the sky to watch the changing landscape as we enter Channel Country. 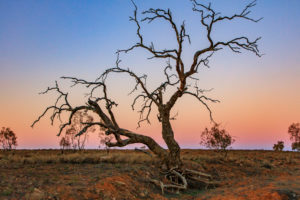 This part of Outback Australia is named for its intertwining river system that snakes all the way from the top of Queensland to the drainage basin of Lake Eyre and South Australia. These areas are dry most of the time, so from the air, you get a spectacular view of the river beds weaving their way through dunes and desert, stopping and starting depending on rainfall levels. The patterns that they make are both artistically inspiring and spectacular. 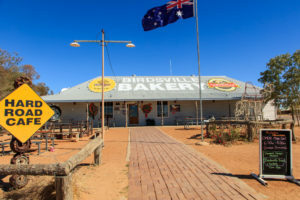 Birdsville is one of the most well-known towns in Channel Country, set alongside the Diamantina River it is home to a massive bird population. 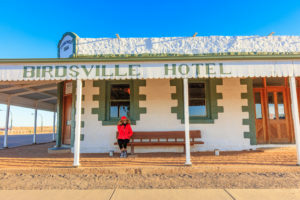 Even though Birdsville is pretty well known, surprisingly it is just a tiny little town with a population of just 75 people. 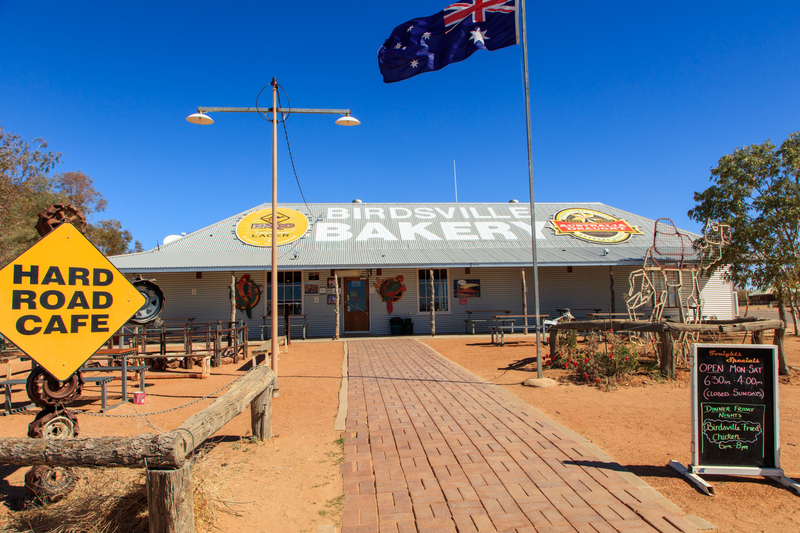 Home to a local baker and a roadhouse, but more importantly, the Birdsville pub. You start to get the sense that the lifeblood of these remote towns revolves around the local pubs. Landing on the small airstrip, the airport is unmanned and deserted giving you an appreciation of the remoteness of where you actually are. There’s not a horde of tourists or a town ruined by overpopulation. This is the real outback. 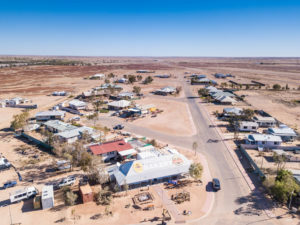 You get the feel of life in a small remote town where probably the biggest decision of the day as a tourist is whether to order the famous Camel Curry or Kangaroo pie from the bakery, served by local Alex who also doubles as bus driver and tour operator for outback 4WD Tours. 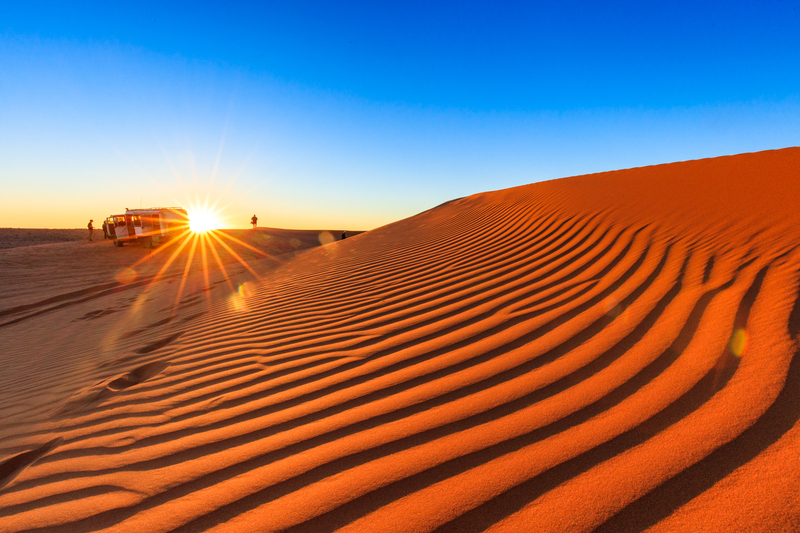 Just 35km from downtown Birdsville – right next to the towns edge, is the sand dune known as Big Red. The Simpson Desert is made up of hundreds of parallel dunes, best visible from the air, with Big Red marking the edge of the Desert. 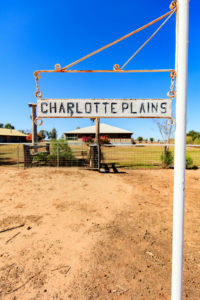 Possibly due to its proximity to Birdsville, also because it is the tallest, standing 40 meters in height, its popular with 4WD enthusiasts for a fun challenge as well as local tour operators and visitors alike. 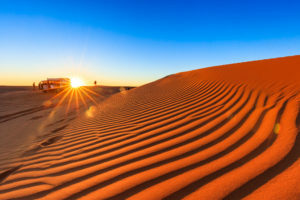 With 360 degree views of pure desert, watching the sun go down over the deep red of dunes against the rich blue sky and seeing the changing colors is something that is truly breathtaking. It’s such a popular spot for a sunset beer or a wine to really make the most of the experience. 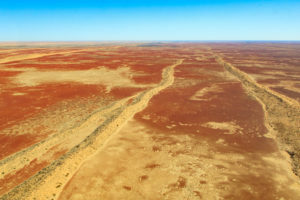 From Birdsville, the tour travels south over the Simpson Desert getting the chance to witness the parallel dunes, which converge into river mazes as the journey continues. Where there is water, the colors of rich green contrast to the reds and browns of the desert. 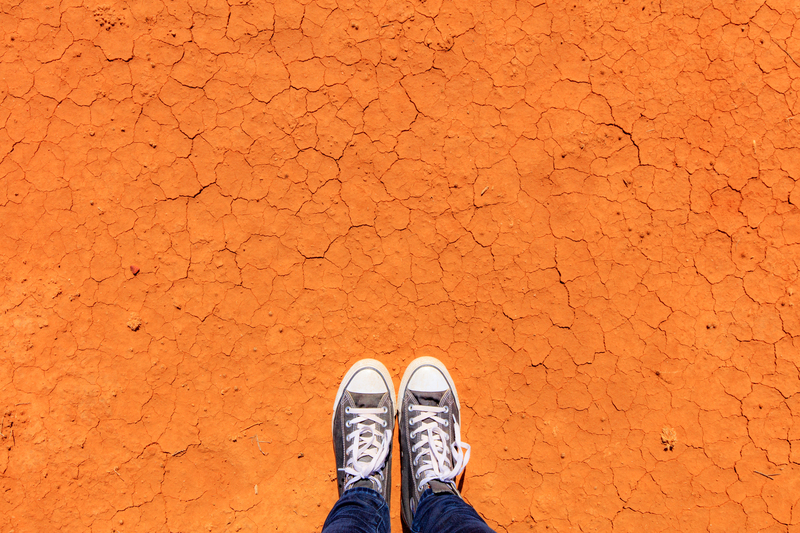 Crossing over to the South Australian boarder, Lake Eyre is the third largest salt lake in the world. Currently mostly dry, the crystal patterns and brilliant whites of the salt make for more spectacular photography and viewing opportunities. Just west of Lake Eyre the tour lands in the unique town of William Creek. 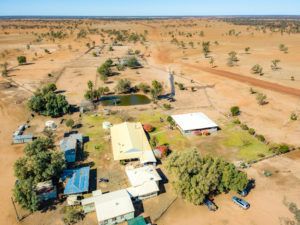 Another miniscule town in the great wide outback, William Creek boasts a population of just 15. 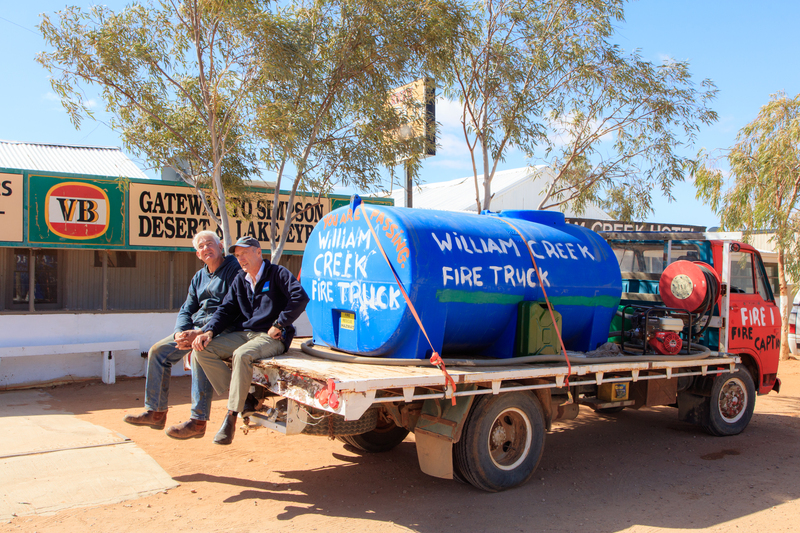 This whole town is owned and run by the fondly dubbed “Mayor of William Creek” Trevor Wright. 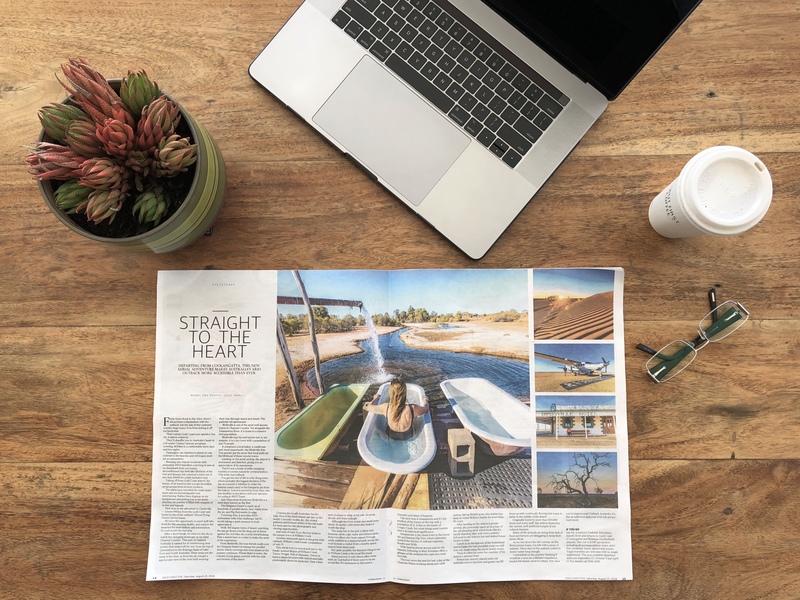 Full of character, Trevor is keen to share his town with visitors and talks passionately about the local area and his love of the outback. Over a beer and a Kangaroo wrap at his pub, Trevor shares stories and a laugh. Although this town is just one small main street, its full of quirky collections that make it worth the stop. The main bar in the pub is filled with business cards, caps, notes and memorabilia from travelers who have passed through, a memorial park is across the road with unusual and diverse items such as a rocket from a nearby space launch from times past. But quite possibly the funniest thing to see in William Creek is the local fire truck. Has to be seen to be believed. Hand painted, it only drives after a tow start so god forbit if there were to ever be an actual fire that needs putting out, but it goes to the character and sense of humor of Trevor and the whole town. Our next stop is Innamincka and it’s the smallest of the towns on the trip with a population of 12. It lies on the banks of Cooper Creek, but what brings most tourists here is the historical significance. 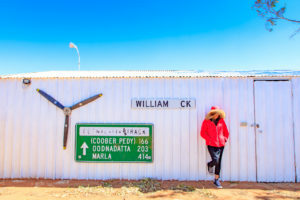 Innamincka is the closet town to the burial sight and famous “Dig Tree” which ultimately marked the demise of outback explorers Bourke and Wills. 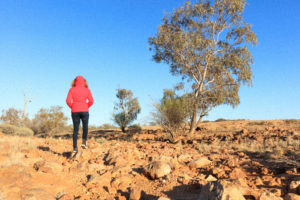 With limited phone service and no city luxuries, following the trails of historic explorers like Bourke & Wills, this town is another example of the isolation the explorers must have felt. 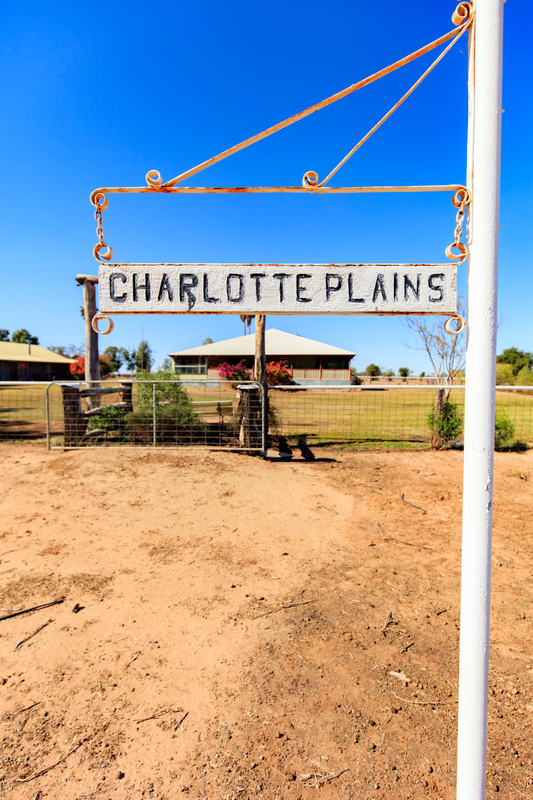 The tour saves the best for last, a day at the Charlotte Plains working sheep and cattle station. 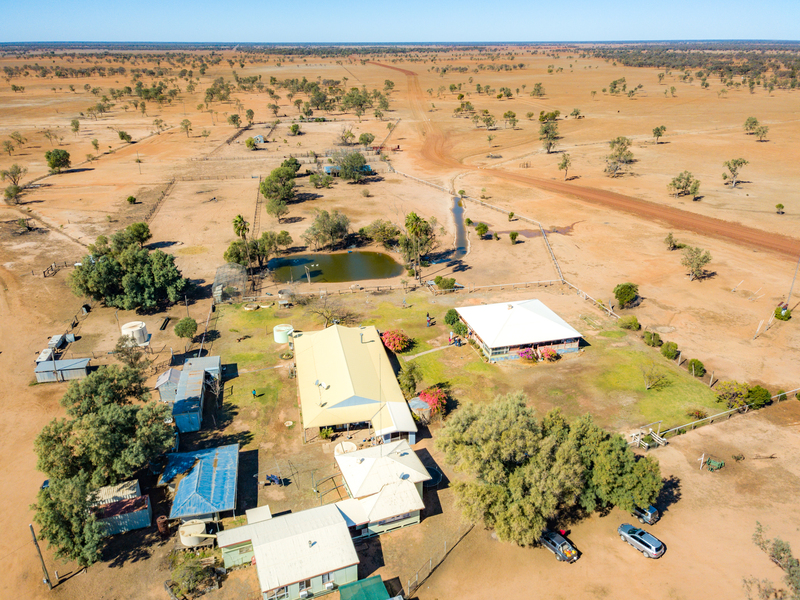 Set on 70,000 acres, this station has been in owner Robyn’s family for over 90 years. 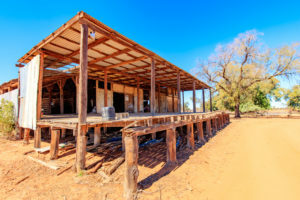 After landing on the Station’s private airstrip, she personally takes you on a tour of the old sheering shed, which looks like it’s barely still standing after well over a century, followed by the historic hut and station house, untouched and frozen in time as they were many years ago. Lunch is on the balcony of the homestead in true county style with quite possibly the best pumpkin soup you will ever eat, made by Robyn herself with her secret family recipe. Perhaps the best, or at least easily the most fun part of the station tour is a visit to the Artesian bore which on first appearance is just a water pump from the ground feeding water into the river to feed the animals. 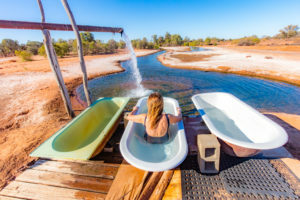 Robyn has cleverly placed some old bathtubs next to the bore and guests can fill them up with continually flowing hot water and bath in the middle of the desert in a hot springs bath. 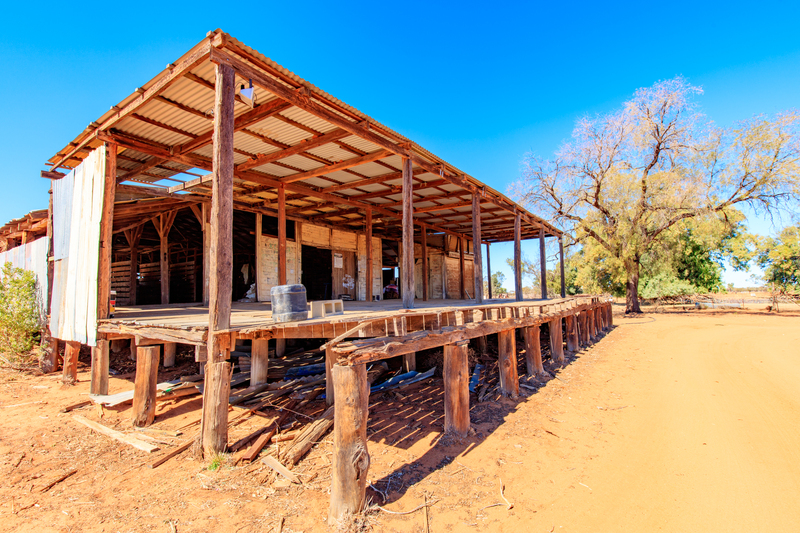 Originally home to over 100,000 sheep and many more staff, this station illustrates the current well publicised plight of our outback farmers. Many of the animals are dying from lack of food and farmers and struggling to keep their farms prosperous. As we taxi down the dirt runway to start the final journey home, I’m left with a sense of sadness. 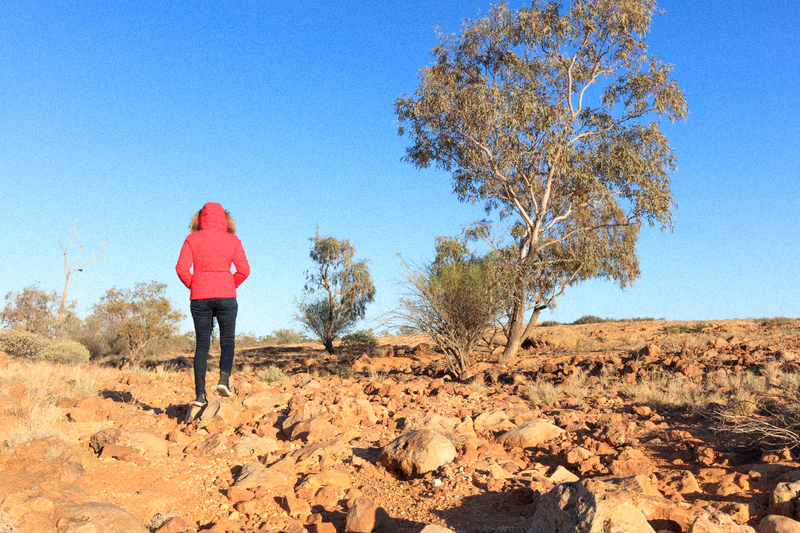 Three days in the outback suddenly doesn’t seem long enough. I embarked on this journey thinking it would be a once in a lifetime experience, bucket list ticked, never to return. 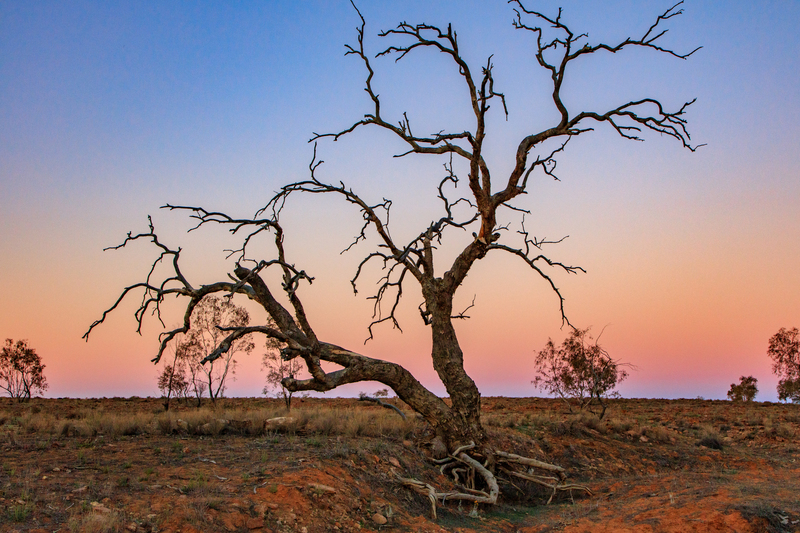 Yet once you’ve seen and experienced Outback Australia, it’s like an addiction and your soul will always want more. 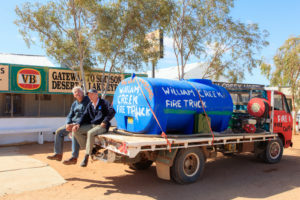 With many options of Outback travel available this is obviously one of the more luxurious option, traveling in ease and style. 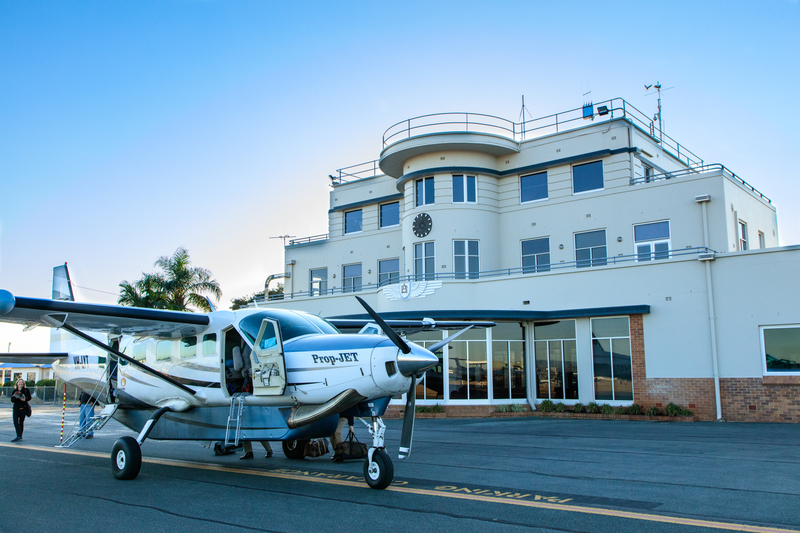 Breeze into remote locations landing on dirt airfields with ragged looking exhausted 4WD travelers watching in awe as you depart a luxury air conditioned Cessna Caravan. 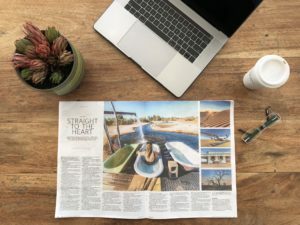 It feels like lifestyles of the rich and famous but at a total cost of less than $3,000 for a fully inclusive tour, it allows the opportunity to experience outback Australia in a short space of time. 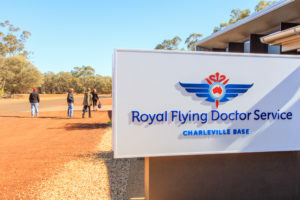 Visiting some of the most remote parts of Queensland and South Australia, only accessible by dirt roads with many of the airstrips just clearings of graded dirt runways at unnamed airfields. Return home with shoes full of red outback sand, memories of lifetime experience and a new found love and appreciation of this beautiful land and it’s people.